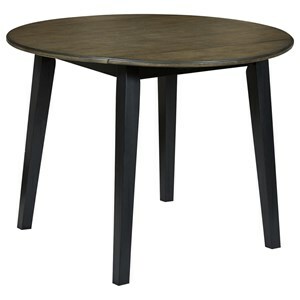 This round table with drop leaves is perfect for a small dining space. 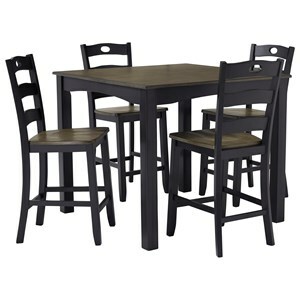 The black finish on the angle table legs and apron takes on a cottage appeal with birch veneer in a medium grayish brown finish for the table top. 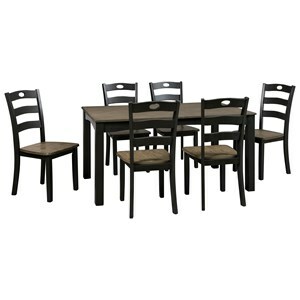 The chair's ladder back has a pierced detail on the top rail and a contoured seat to provide comfort during meals. 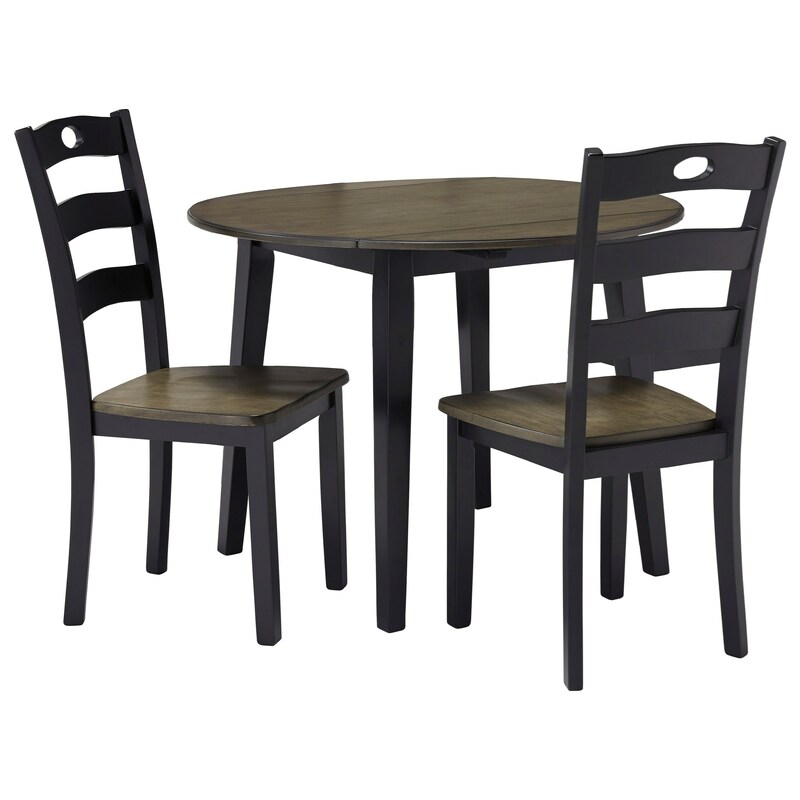 The Froshburg Two-Tone Finish 3-Piece Round Drop Leaf Table Set by Signature Design by Ashley at Value City Furniture in the New Jersey, NJ, Staten Island, Hoboken area. Product availability may vary. Contact us for the most current availability on this product. 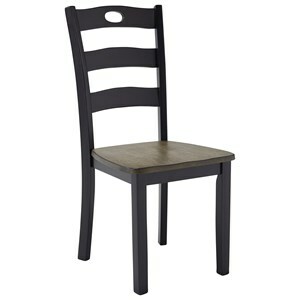 Finish Two-tone cottage style finish in vintage black with a warm brown wood-tone color. Handles & Hardware Hammered effect knobs with screw-head detail on back plate, finished in a hold tone coloration. Case Construction Made with Birch veneer, engineered board and hardwood solids. 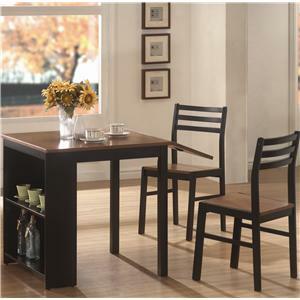 The Froshburg collection is a great option if you are looking for Contemporary Cottage furniture in the New Jersey, NJ, Staten Island, Hoboken area. 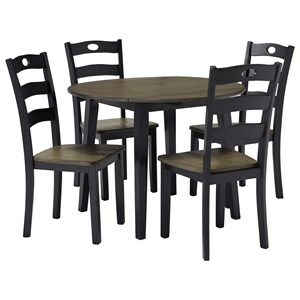 Browse other items in the Froshburg collection from Value City Furniture in the New Jersey, NJ, Staten Island, Hoboken area.